*Weekend orders ship on Monday. "Excellent supply of greens and fruits with almost no filler and the price is very compelling." 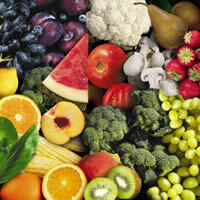 How much do you pay for 300 servings of fruits and vegetables? Prunes have a high antioxidant capacity that is captured in the freeze dried powders inluded in Blender Culture. Whole prune powder is an excellent source of high pectin fiber. It also stimulates the peristalsis and the elimination of waste. Prune powder also rich in natural benzoic and quinic acids. The fresh version (plums) and the dried version (prunes) of the plant scientifically known as Prunus domestica have been the subject of repeated health research for their high content of unique phytonutrients called neochlorogenic and chlorogenic acid. These substances found in prunes and plums are classified as phenols, and their function as antioxidants has been well documented. These damage-preventing substances are particularly effective in neutralizing a particularly dangerous oxygen radical called superoxide anion radical, and they have also been shown to help prevent oxygen-based damage to fats. Since our cell membranes, brain cells and molecules such as cholesterol are largely composed of fats, preventing free radical damage to fats is very important. Prunes' ability to deter oxygen-related damage to our cells is also related to their beta-carotene content. Prunes emerged from our food ranking system as a good source of vitamin A (in the form of beta-carotene). Beta-carotene acts as a fat-soluble antioxidant,eliminating free radicals that would otherwise cause a lot of damage to our cells and cell membranes. Only after cholesterol has been oxidized by free radicals does it pose a threat to artery walls. Free radicals can also damage cellular DNA, causing mutations which, if serious enough, can result in the formation of cancerous cells. In addition, by causing damage, free radicals contribute to inflammation, which is one way the body clears out cells or other substances that have been damaged. In this way, free radicals increase the severity of a number of different conditions. This is why beta-carotene, which shuts down free radicals, has been shown in studies to be helpful for the prevention of a variety of diseases, including atherosclerosis, diabetic heart disease, and colon cancer, and why it has also been found useful for reducing the severity of inflammatory conditions like asthma, osteoarthritis, and rheumatoid arthritis. Prunes' insoluble fiber also provides food for the "friendly" bacteria in the large intestine. When these helpful bacteria ferment prunes' insoluble fiber, they produce a short-chain fatty acid called butyric acid, which serves as the primary fuel for the cells of the large intestine and helps maintain a healthy colon. These helpful bacteria also create two other short-chain fatty acids, propionic and acetic acid, which are used as fuel by the cells of the liver and muscles. The propionic acid produced from prunes' insoluble fiber may also be partly responsible for the cholesterol-lowering properties of fiber. In animal studies, propionic acid has been shown to inhibit HMG-CoA reductase, an enzyme involved in the production of cholesterol by the liver. By lowering the activity of this enzyme, propionic acid helps lower blood cholesterol levels. In addition, prunes' soluble fibers help to lower cholesterol by binding to bile acids and removing them from the body via the feces. Bile acids are compounds used to digest fat that are manufactured by the liver from cholesterol. When they are excreted along with prunes' fiber, the liver must manufacture new bile acids and uses up more cholesterol, thus lowering the amount of cholesterol in circulation. Soluble fiber may also reduce the amount of cholesterol manufactured by the liver. The ability of plum and prune to increase absorption of iron into the body has also been documented in published research. The ability of plum and prune to make iron more available may be related to the vitamin C content of this fruit. The process of drying plums to make prunes is thought to have originated thousands of years ago in an area near the Caspian Sea, the same region where the prune-producing European plums originated. They spread throughout Europe with the migration of different cultures and civilizations. The process of drying plums to produce prunes took hold in California, now the leading producer of prunes worldwide, in the mid-19th century when Louis Pellier planted grafted plum tree cuttings brought back with him from his native France. Among these trees were those belonging to the Agen variety, the type of plum that is extremely well suited to be dried to make prunes. Copyright © 2012 Blender Culture, Inc.